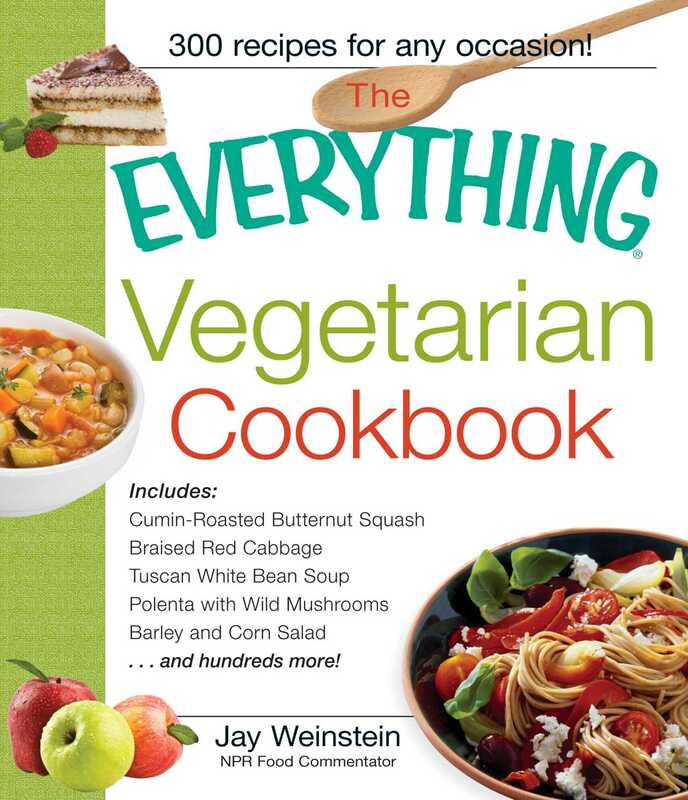 From mushroom-stuffed tomatoes to roasted butternut squash, The Everything Vegetarian Cookbook by renowned chef and radio personality Jay Weinstein, makes preparing delicious vegetarian meals easier than ever before. In this comprehensive, all-purpose cookbook, Mr. Weinstein provides you with simple instructions to create a variety of savory vegetarian meals--whether you are on an ovo-lacto, macrobiotic, or vegan diet, or are someone who simply wants to reduce meat intake. The Everything Vegetarian Cookbook not only gives you options for meat substitutes, it also helps you ensure that you're getting the proper nutrients and protein while on a vegetarian diet. Whether you want to cook a one-course dinner for the family or an elaborate feast for special guests, this book can satisfy even the heartiest appetite.